HI Guidebooks are written by industry experts on topics vital to those who design, operate, or maintain pumping systems. Access to clean water is essential to sustain and provide for the continued development of the world’s population and its economic growth. One of the most urgent concerns today is locating, treating, and conveying sufficient supplies of clean water to meet the needs of our communities and protect public health. Strategies for treatment and conveyance of water continue to evolve, along with engineering and technological developments and the need for new water supplies. In response to an industry need for a standardized approach to conducting pump system assessments, the Hydraulic Institute (HI) has developed the Pump Systems Assessment: Body of Knowledge (PSABOK). Developed by subject matter experts and industry leaders, HI has collected and harmonized the various factors that comprises a pump system assessment into a comprehensive and easy to understand guide. This guidebook is intended to assist those who need to understand details of pump system optimization coupled with important capital equipment decisions. It presents practical information for those who have not had broad exposure to pumping systems and for those who wish to improve the systems for which they are responsible. The ultimate goal of this guidebook is to educate those designing pumps and the systems in which the pumps are applied to minimize energy consumption while maximizing reliability with consideration of the associated life cycle costs for the systems we collectively rely on every day. This document provides a technical guideline on flexible couplings used in pump applications. It provides a basic understanding of the various coupling types, information required to make basic coupling selections based on system requirements, and a general understanding of the installation and maintenance practices associated with each type of coupling. This guideline has been created to provide pump industry professionals and the end user operators of pumps with the knowledge required to apply variable speed pumping so that it will result in improved energy efficiency and increased reliability. This intension of this guidebook is to educate the pumping industry and to ensure the safe, reliable, and efficient operation of the pumping equipment we all depend on every day. A new guide for the pump industry, Variable Frequency Drives: Guidelines for Application, Installation, and Troubleshooting describes how VFDs can help reduce energy consumption, increase the reliability and life of pumping systems, and generate significant cost savings. Comprehensive and authoritative reference book that is must reading for all engineers, pump and seal professionals, end users, consulting engineers, distributors, and pump OEMs. The Industry’s most complete and up-to-date Life Cycle Cost Guide for pumping systems. Guidebooks in secure PDF format are immediately downloadable and do not incur shipping/handling charges. 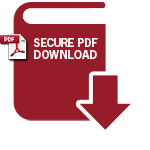 Guidebooks in this format are encrypted for security purposes and require the installation of an Adobe-approved plug-in from FileOpen Systems, Inc.